As Brexit Nears, a French Agency Made an Adorably Poignant Video for the U.K.
France may be Britain's centuries-old rival, but that doesn't mean they want to be separated. Few relationships better deserve the status of “it’s complicated” more than that of France and Britain. The two nations spent the better part of 1,000 years at war with each other, and while the 20th century’s World Wars made them allies, that’s not quite the same as becoming friends. So as the U.K.’s decision to leave the European Union weaves its byzantine and baffling way toward enactment, French agency TBWA\Paris wanted to send a message of support for those in Britain who hope to reverse the decision. But how does an eternal rival express compassion and solidarity without coming right out and admitting that this centuries-old tension has actually given way to earnest affection? With solemnly singing frogs, that’s how. 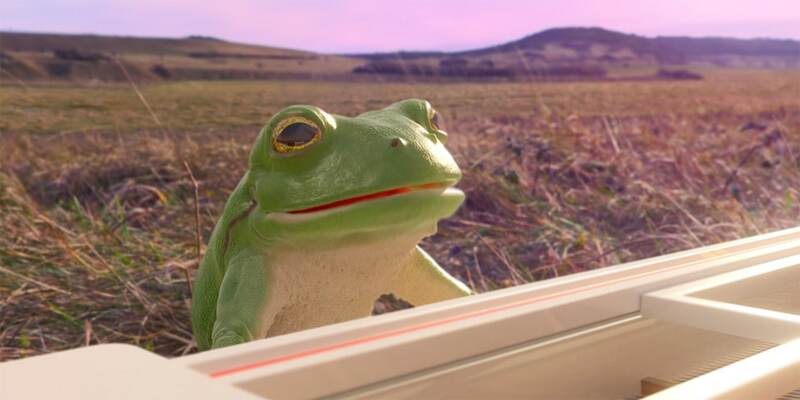 Here’s TBWA\Paris’ “Frogs Against Brexit” video showing support for Britain’s many “Remain” stalwarts. The potential impact of Brexit on France is a subject of much debate, though it’s generally acknowledged that the move would solidify France and Germany as the key leaders of the EU. But the uncertainty comes at a precarious time for France, whose economy has shown signs of growth after a decade of stagnancy due to Europe’s 10-year debt crisis. A nearly 10% unemployment rate and widening income inequality have led to widespread “yellow vest protests” that added more obstacles to economic recovery in recent months. In short, emotional attachments and frienemies aside, Brexit comes at a bad time for France. But that’s nothing compared to the problems it’s certain to generate in Britain, which is facing a rapidly approaching deadline of April 12 to either reach a compromise to stay in the EU, roll out a plan to leave the union or—currently most likely—exit the EU with no plan in place, creating chaos around everything from trade to travel. But maybe Theresa May can be serenaded into sensibility? Give it all you’ve got, frogs.